Lots of exercise yesterday (Saturday). Went to the Y and did the elliptical in the morning. Then snow skied for a few hours in the evening – my muscles are sore from the skiing. 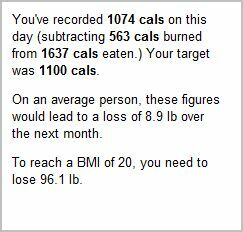 Net calories yesterday were 1100, right on track. Was proud of myself for taking my own healthy food to friend’s house for lunch yesterday instead of eating the super-calorie laden extra cheesy lasagna. Also bypassed desert. Took the time to make my salad and take it with me skiing to eat while everyone else had sandwiches on high-calorie but delicious homemade bread. Today’s eats were not so good. Started out well and with the best of intentions. Made cinnamon rolls for brunch where some folks were coming over. Didn’t eat them for brunch. However, later in the day, I lost all self control, gave in, and ate one. Or two. It’s funny how you can be so, so good for the vast majority of the time, but can undo all your hard work in just a few minutes. I hate that! But I’m moving on. 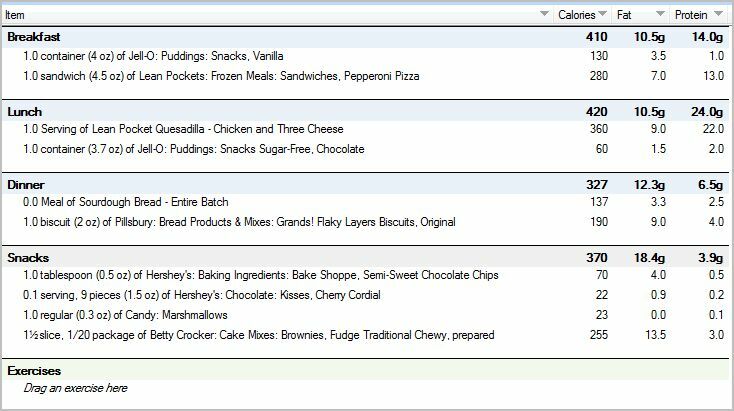 After the cinnamon roll fiasco I didn’t even track calories. I felt like it would be a wild guess. Starting to get a little sloppy! Alright, so I’m really getting sloppy with my munching habits and food journaling. I did very well at all day through work. Got home. I didn’t plan to exercise today, as I needed some time to get a few basic things done. (I’ll still be exercising 5 times this week – tomorrow will be #5.) Well, I really wasn’t in the mood for dinner, so instead I just munched here and there on little bits that are hard to keep track of. First I ate the teeny tiniest little brownie in the container. Then I broke off a piece of another brownie. And I ate a little piece bread. Then I broke off half of another piece. And I grabbed a few chocolate chips. Then a marshmallow. (and maybe eventually another – I really can’t remember.) And then a Hershey Kiss and another. I cooked some Pillsbury Grands biscuits and ate one. Then I took my favorite layer, the very top one, off of another biscuit. Wow, when I write it all out, it really does seem like a lot. Of course, I kinda justified each bite by thinking, “Oh I really don’t need to track this, I counted 2 brownies, but I probably only ate 1.5.” Ridiculous, I know! So tomorrow, I need to clean up my act. Stop all the munching. If I’m hungry, I should choose something healthy and eat it – an entire serving – not just a bite or two here or there. If I’m not hungry I shouldn’t eat, and I should forget about food and do something else. I seriously need to learn how to get myself out the door! C’mon how hard is it? Put one foot in front of the other. Open door. Walk out. Get in car. Drive to Y. For some reason I found that very difficult today (I really wasn’t in the “mood” to workout) and “dilly-dallied” (as my grandmother would say) for AN ENTIRE HOUR before finally getting myself out the door. Ridiculous, I know. I could just kick myself for wasting that hour. I really needed it. Unbelievable. But the point is I did get there. I worked out for 64 minutes, burned over 500 calories, and I even ran some!! 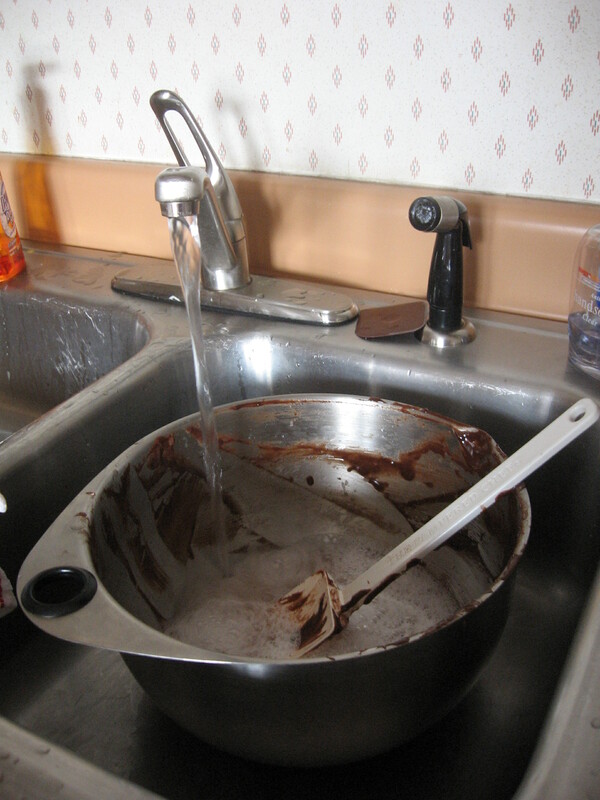 Did okay on the eating front, but I must confess that I did get into the brownies. Just had one, though. 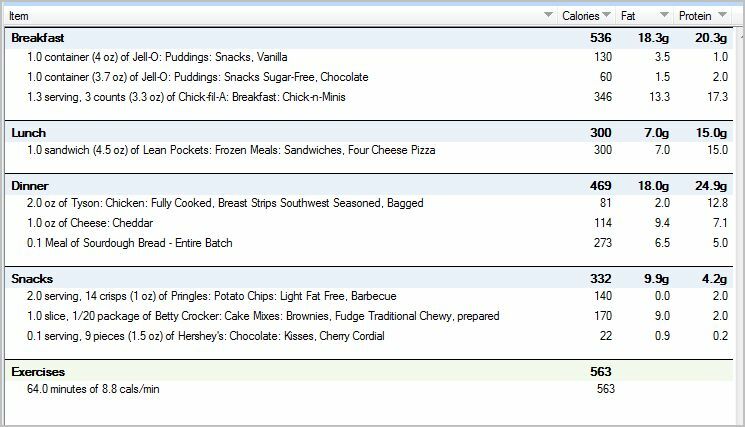 Still kept my overall calories right where they need to be. Happy to report that third day went great. This is honestly the first time in the past couple months I’ve made it to Wednesday with working out. I made the mistake of going to the Y at peak time – 6:30pm – today. Nothing but a stairstepper was available! So what did I do!? I climbed 50 flights of steps. Then I did the elliptical for half an hour as soon as it became available. All in all, worked out for 52 minutes and burned 520 calories. I’m hoping to run some tomorrow. My biggest struggles today were combating the sleepy eating and as soon as I get home from work I’m just dying to munch!!! It was bad. I really want to just graze on everything. And the brownies were calling my name! But avoided them completely. Didn’t touch them. Same with the apple crisp that was calling my name. Didn’t touch it. I did munch on a piece of fresh-baked this morning sourdough bread! Delicious! 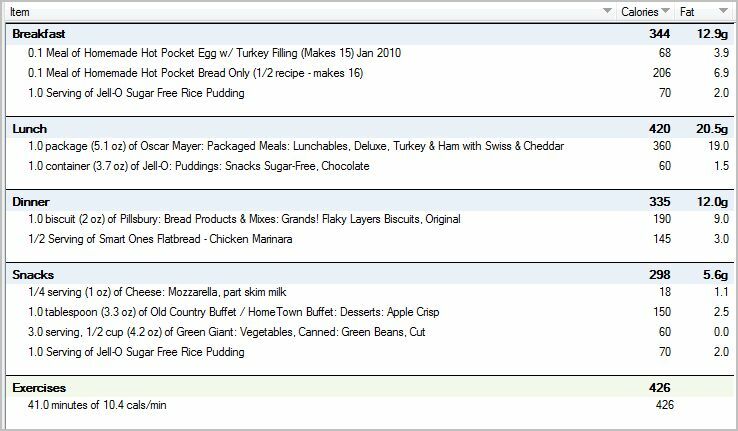 I calculated exact nutrition info for it, though, and logged it. Tomorrow I’m combating the tired munchies by getting more sleep, and I don’t know what I’m gonna do about the urge to munch as soon as I get home from work. Anyway, that’s a huge moral victory. 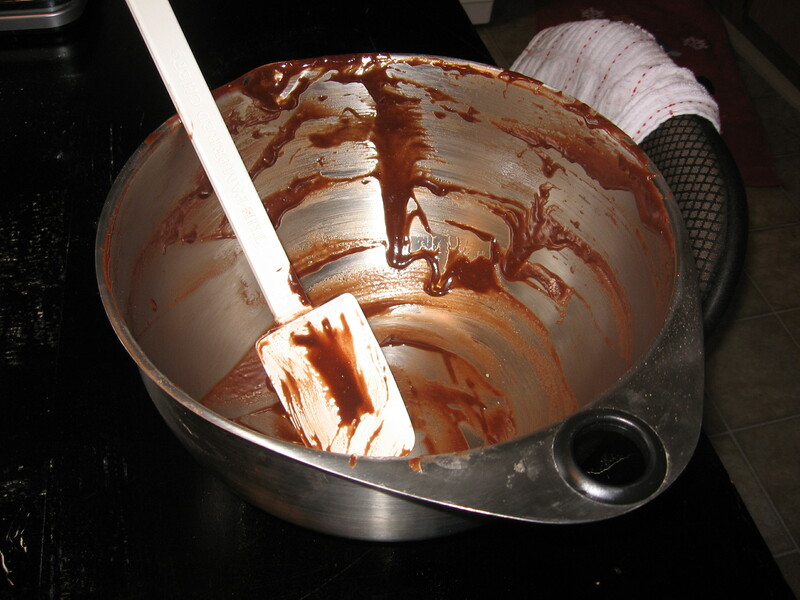 I counted my batter tastes plus a couple finished brownie tastes as two brownies, but who really knows. I didn’t touch the apple crisp! Didn’t even look at it. Tomorrow’s goal: do not touch the brownies. They are for this weekend. And “just one little taste” is likely to lead to another and yet another. And my superpower resistance isn’t likely to last long. Exercise went well today. Worked out on the treadmill for 64 minutes. Brisk walking at an incline followed by 6 solid minutes of running! Yes, I just took off and ran. Even though I have this love/hate relationship with running and I haven’t run for months. Burned 600+ calories, and I just love the feeling of finishing a workout that included running – even better than finishing non running workouts. I feel like I really worked! 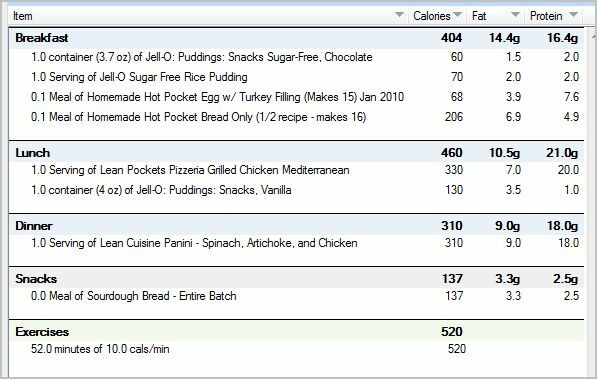 I won’t copy my food journal and stats today because it’s getting late, but I had a net of around 750 calories, so very on track. I’m done trying to lose weight! Well, I have good news and bad news. We’ll start with the bad. This morning’s weigh-in was a real shocker. Somehow I’ve managed to gain 4.2 pounds in the last two weeks! While “trying” to lose at that! It was a real wake-up call, though, and made realize that I can’t “try to lose weight” anymore. It’s time to lose weight. I realized that my attitude, outlook, and even my vocabulary about weight loss has changed, and not for the better. I used to say “I’m losing weight.” Now I say “I’m trying to lose weight.” So, yeah, I’m done trying to lose weight, because I am losing weight. (At least I did until today.) About the 4.2 gain, yeah, I realize body weight fluctuates and that’s likely not all fat, but some of it is. 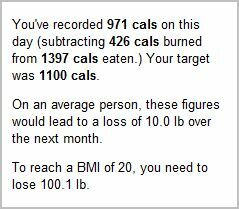 And, this was the fact that really woke me up: I’m 3.6 pounds away from my all time highest weight where I was back in September 08 when I started this journey/blog. I won’t bore you with the details of how I felt realizing how much hard work I’d “undone,” etc. (By the way, it’s up 20 pounds from my low.) My clothes are really not fitting well at all. I have like 2 pair of pants I can wear to work and both of them are tight, but one pair is really tight! I’m afraid to wash them! So I have changed my priorities and I am going to focus on the weight loss. I even turned a last minute invite, basically, to go workout tonight. How’s that for sticking to it? And today only had a minor eating mishap – a little run-in with the leftover apple crisp. But I will be eating none of it tomorrow (you better hold me it – and if I just don’t mention it all, well, you know what that means) and will opt for fresh apples instead – fat free, very unlike the apple crisp! I feel like the line in the sand has been drawn. I will not buy new larger clothes. I will not gain another pound. I will not settle for feeling fat, out of shape, and miserable any more. The end. I experienced what it was like to feel in control when I first started this “journey” and I know it’s worth the little things that I “miss out” on when I’m living healthfully. Also, I’m considering doing something healthy living related that I have truly NEVER done before or anything like it. It would be a leap outside my comfort zone, but I really think it might be good for me. And I feel it’s time for something new in the weight loss arena. I haven’t told anyone that I’m considering it. I’ll tell you all about it tomorrow. Any guesses, though? Just a really quick post to say I’m getting my priorities in order, beginning with sleep! I have talked about many times how much better I do w/ everything when I’m not exhausted. And I have been getting more and more behind on sleep this past week, ending with a whirlwind weekend with seriously little sleep. Therefore, I’m aiming for a solid 8.5 hours tonight, so I can wake feeling refreshed and ready to conquer the week! I can basically recap the weekend health wise in one sentence: It wasn’t diet-friendly. Not at all. However, in looking forward to the next several weekends, I don’t foresee situations like that where the food is not in my control. (Besides an occasional dinner at a friend’s house here and there.) 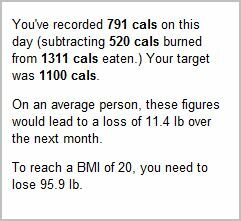 Next weekend will pose some challenges, but I already have a plan to get around them and still count calories. I’ll tell you all about it later.